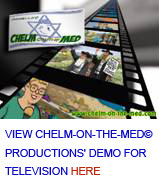 Clever and Upbeat Mark Schiff, comedian: "...Chelm-on-the-Med is clever and upbeat. These quirky news stories (some truly unbelievable) are not just funny. They cast Israel in an entirely new light. Chelm-on the-Med makes my day more interesting but also more fun." Ever-Growing Collection Israel 21C: "...an ever-growing collection of local soft news items - those curious, often humorous stories that would sound like they are urban legends if they weren't in the mainstream news media." Epitomizes Life in Israel Prof. Sam Lehman-Wilzig, political scientist/media scholar: "Chelm-on-the-Med's news stories are the very essence of what living in Israel is like: lots of creativity, rule-bending, circumlocution, and eccentricity in a nation full of off-beat citizens. 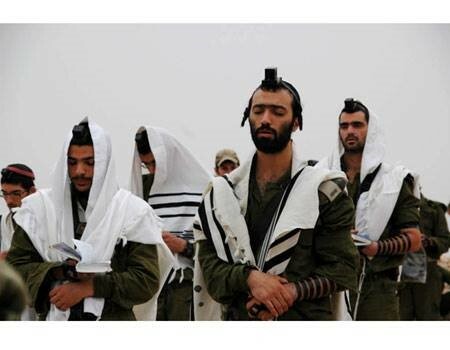 There is no better way to show Israel's 'normality' than to highlight its abnormalities." Creative and Refreshing Amir R. Gissin, Consul General of Israel, Toronto: "The concept of using humour to break down stereotypes and preconceptions about Israel, and doing this by sharing offbeat amusing stories published in the Hebrew press, is certainly creative and deserves our support. I found the site well crafted - funny and endearing, and it is a truly refreshing 'take' on Israel. We need more of this kind of light-hearted input in our advocacy efforts." For almost a decade Chelm-on-the-Med Online (www.chelm-on-the-med.com) has been collecting and sharing in English the wildest and wackiest news stories about Israel ‘hiding’ in the country’s mainstream Hebrew press in order to balance overly conflict-driven news that warps perceptions of life in Israel. Every year, the Chelm Project announced in late-December early-January the best of the lot in a given year by giving out annual Chelm Awards for the best of the bunch in a host of categories ranging from nutty antics by politicians and incredulous actions by public bodies, to zany behavior by run-of-the-mill Israelis, including special recognition of the most audacious case of chutzpa and an ‘Honorable MenschenAward’ for extraordinary gestures…every year but this one, when due to an extended medical emergency in the family, the Chelm Project grounded to a halt in late December 2017. 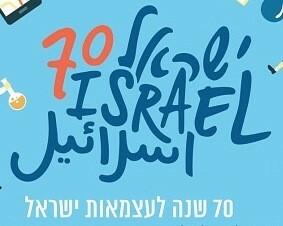 In honor of Israel’s 70th Independence Year Chelm-on-the-Med Online has chosen to celebrate this landmark by sharing a medley of landmark moments over the past year that are not only the epitome of unforgettable Chelm-like-but-true moments in Israel during 2017, Almost all of the events below could equally qualify as Only-in-Israel moments that speak volumes about the true flavor of life in Israel over the past seven decades and in the subtext – reflect how Israeli society ticks. The Israeli Diplomacy in Action Award goes to Prime Minister Bibi Natanyahu who in a stroke of genius and fitting response toUNESCO’s declaration of the Temple Mount as a Muslim world heritage site with no ties to the Jews, ordered a replica of the relief that adorns the Arch of Titus in Rome depicting Roman soldiers carrying away the seven-branch menorah (candelabra) and other spoils from the Temple Mount after the destruction of the Second Temple in 70 CE. Natanyahu is giving the 45,000 NIS ($11,842) replica to the director-general of UNESCO Irina Bokova as a gift, to be placed on permanent displayed at UNESCO headquarters in Paris. This year’s Most Telling Decision by an Israeli Ministry went to the Ministry of Health for a surely Only-in-Israel step. 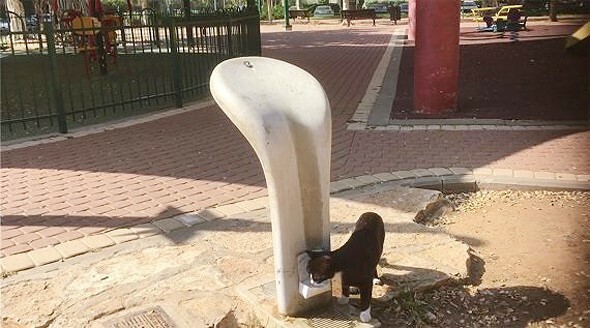 Israeli cities are so alley cat friendly that many municipalities provide ground level water troughs for cats and dogs as an integral part of water fountains for people, but in 2017 the Ministry of Health was forced to distributed a directive to Israeli hospitals specifying employees should not encourage feral felines to ‘set up house’ on hospital grounds where the stray cats could be found not only wandering about the lobby and gathering outside kitchens, and occasionally strolling down the corridor of a ward. Rumor has it the last straw for senior health officials was a report that at one unnamed Israeli hospital a cat ‘fell’ through an acoustic ceiling into the lap of a dialysis patent. No Chelm Award event would be complete without a Chelm Award for Chutzpa whose primary recipient this year reflects the over-the-top nature of political discourse in Israel:The winner isa senior Haaretz journalist Rogel Alpher, who called on Israelis to boycott the nation’s much-loved HaShachar HaOleh chocolate spread, branding the Haifa-based brand “a supporter of ‘the Occupation” claiming the iconic snack item was – I quote – “a racist-fascist chocolate spread” (because the factory owner Moshe Veidberg believes Jews have the right to settle in Judea and Samaria). Sales of HaShachar HaOleh chocolate spread skyrocket at some supermarkets with one angry customer purchasing six cartons…giving containers away to other shoppers and the rest to a food bank for low-income families… Co-recipients for unadulterated chutzpa are regular patrons of the upscale Tel Aviv Asian restaurant “Zepra” who lodged a class action suit after they ordered horridly expensive beef filet and veal dishes, while a food lab subsequently showed the orders were made of less expensive…pork. The plaintiffs not only want their money back for everything they’d ever ordered over the past seven (!) years…they cried crocodile tears claiming such underhanded behavior damaged their “freedom of choice and autonomy…desecrated their personal dignity, and forced them to break the halachic prohibition on eating pork”…rather overblown considering the eatery in question is not kosher and has pork, and shrimp and soft-shelled crabs prominently featured on the menu. Alas, this year nobody topped Hadera installing singing traffic lights in 2013, nor Natanya’s leaders ordering the main drag painted purple in 2009 (only to have it fade in the Israeli sun). Nevertheless, there is a winner of the Quirkiest Municipality Award: Tel Aviv-Yafo, where city hall believes they can provide relief from sky-high rents and real estate prices due to a shortage of apartments with a mere stroke of the pen. How? Double built-up areas by changing building codes to permit “a 100 percent increase in building presently above ground – underground.” Sublevel ‘digs’ in each and every building could be used to enhance residents’ security with a bomb shelter, ease occupants parking nightmare (some report circling for 40 minutes to an hour-and-a-half in search for a vacant spot at the end of a long workday), or create joint sunken assets for condo owners with sublevel flats ‘under’ their existing building or by renting out space for other uses (commercial or public). The Strangest Court Case in 2017 is but another Only-in-Israel nugget. 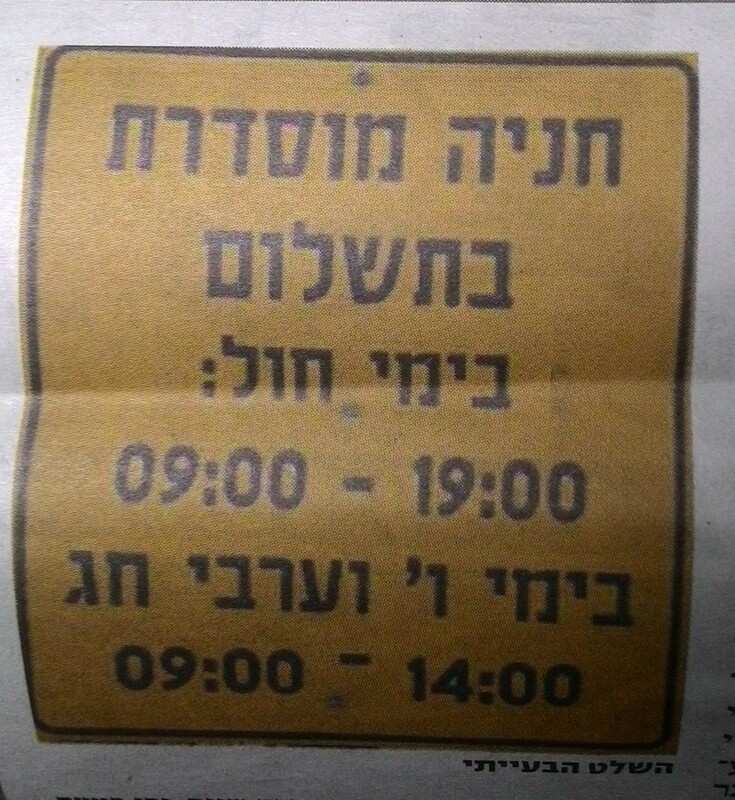 After traffic attorney-at-law Asaf Oren (of all people) got socked with ticket for failing to pay for parking in a municipal lot where the sign stating paid parking was in force between 09:00-19:00 hours on weekdays and 09:00-14:00 hours on Fridays and holidays, the scrappy young lawyer successfully argued in an appeal to the Rechovot Municipality that since Hebrew is written from right-to-left, he had every right to assume the sign meant motorists had to pay for parking between 7 PM and 9 AM…not 9 AM to 7 PM. Rechovot is changing its Hebrew sign language accordingly…probably thoroughly confusing everyone except Asaf Oren. In a Jewish state, no annual Chelm Awards would be complete without a Religious Oddities Award. The winner in the corporatecategoryis an NGO that assists soldiers in the exclusively ultra-Orthodox Netzach Yehuda NACHAL battalion. When they learned some young ultra-Orthodox (haredi) men who join the IDF rather than taking an automatic exemption had a hard time finding marriage partners, the NGO hired a matchmaker who has already paired up dozens of such men with women who are also considered ‘tainted merchandise’ within their insular community: haredi girls who have gone to study at secular universities and baalei tshuva (women raised secular, who have adopted a haredi lifestyle). In the indie category of odd religious conduct, Ramle residentHaim Israel (38) hobbled off with the same honor after claiming he suddenly “felt as if his two legs had been re-amputated” almost two decades after he lost both his legs in a road accident at age 19. Phantom limb pains were sparked by the discovery that “his legs had disappeared from the Ramle cemetery” – where his father had insisted on burying them next to Haim’s grandfather’s grave ‘in advance’ believing that in order for Haim’s soul to ascend to heaven, a Jew must be buried with all his body parts intact’ (or at least everything present and accounted for...). Encapsulating the fighting spirit of the IDF, the Only-in-the-IDF Citation this yearwas won by a group of reservists from the elite Egoz commando unit who fired off an angry letter to top brass and the Minister of Defense protesting a “grave incident of discrimination that was totally in contradiction to IDF values” after their commanding officer prevented one of their buddies from partaking in a joint military exercise in Cyprus with a Greek Cypriot commando unit charging “he wasn’t presentable enough” in his long dreadlocks although the reservist in question had been deemed fit to do battle - dreadlocks and all – in the 2014 Protective Edge campaign in Gaza. Minister of Agriculture Uri Ariel was a close runner-up for this coveted prize after he took to new heights the IDF’s “dual-role military” format (i.e. performing nation-building functions in the civil domain – from immigrant absorption to remedial education for marginalized youth, parallel to its professional soldiering duties). 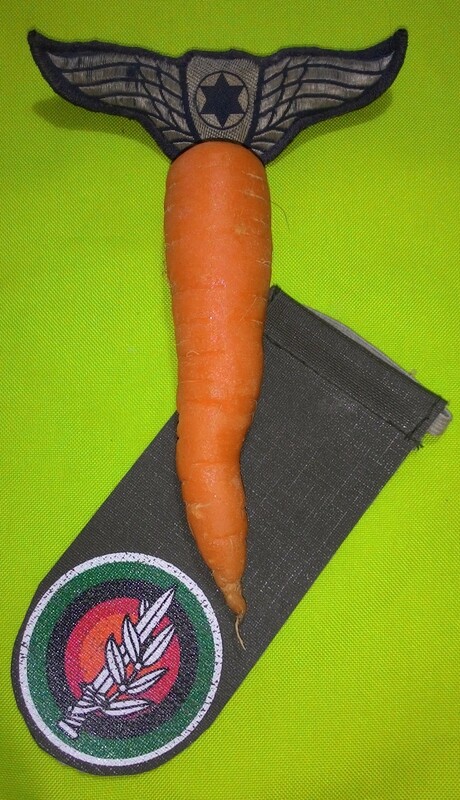 Faced with an unexpected surplus of carrots, the Minister of Agriculture appealed to Minister of Defense Avigdor Lieberman and IDF Deputy Chief-of-Staff Yair Golan to increase consumption of carrots on IDF military bases to combat the glut. The Chelm Project’s Crime of the Year for 2017 is bizarre by any yardstick: The prize goes hands-down to two incredible assault and battery charges written up by over-zealous cops in Tzfat in the space of 12 months both in the line-of-duty when investigating domestic quarrel complaints from neighbors: In the first, the ‘blunt instrument’ allegedly employed by the assailant was a pita filled with fragrant fresh-fried felafel balls, which an angry 55-year-old grandmother of three threw at her already smashed husband; in the second incident, a 59-year-old man armed with a pita filled will shawarma shavings and diced salad was hauled into the station for a similar attack on his wife. The Chelm Project’s annual Honorable Menschen Award was well earned by unnamed public spirited individuals who came to the rescue ofdisabled persons issued 500 NIS ($143) fines for “obstructing traffic” on Route 1, the main artery between Tel Aviv and Jerusalem during demonstrations geared to force the government to raise disability pensions. The ad hoc group launched a crowd funding campaign to pay the fines – collecting 82,558 NIS ($23,588)…almost three times their original goal, allowing the protesters to carry on their struggle. The runners-up as honorable menschen are Dr. Khalil and Dr. Reem Bakly – a Muslim Arab dentist couple from Upper Nazareth who built a 100% kosher sukkah on their balcony with a stunning view of the Galilee, ordered a ton of kosher food, and invited their neighbors – Jews and Arab – to drop in during the week-long holiday, and Ehab, a Muslim Arab Egged bus driver from the East Jerusalem neighborhood of Ras al Amud, who turned his public bus which plies the route to and from the Kotel (Western Wall) into a sukkah on wheels, decked out in decorative fruits and tinsel hanging from the roof. Only-in-Israel Holiday Traditions have been marked in the past by a host of ‘buy such-and-such - receive such-and-such for free’ campaigns, from foodstuffs to furniture and appliances such as the classic ‘gem’ in the 1990s when a ready-made salad maker and an appliance chain joined forces offering ‘buy four 500 gram containers of our brand of Kosher-for-Passover humous/tchina/eggplant salad and be eligible to buy a major home appliance at half price. In the same spirit, this year’s strangest combina (deal) appeared in a full page ad in the major dailies just before Passover: Buy a kolnonit – a battery-powered senior mobility cart from kibbutz Afikim…and receive for free a 3,985 NIS (+$1,000) value battery-powered Apollo moped for the grandkid who finds the afikomen. And speaking of holidays, the Ultimate Israeli ‘Anything Goes’ Award – celebrating Israelis’ unbridled individuality and originality that knows no bounds – went to a couple in their early 40s, Galit and Ofer Mordechai, who stunned their friends with a one-of-a-kind Purim costume…Ofer arriving at their Purim party lying on a canvas hand stretcher covered with a tallis accompanied by Galit decked out in mourning dress and carrying a black umbrella and obit notice. Also short-listed for ‘following his own inclinations” was a man who needs no introduction: Ehud Barak… Spotted in Tel-Aviv carrying a woman’s clutch in his hand. the former Chief-of-Staff/Defense/Foreign/Prime Minister explained the odd fashion choice was not a sign he’d taken to cross-dressing at age 75; the No Nonsense ex-commando revealed he no longer had a bodyguard with a Klatch, so he was carrying his own ‘piece’ in that innocuous looking clutch. What was the Wackiest Archeological Discovery of 2017? The prize goes toexcavators atthe Banot Yaakov Bridge dig at the foot of the Golan Heights where archeologists surmise that our prehistoric ancestors may also have been smitten by the Munchies, after apparently discovering by chance 780,000 years ago that some of the 55 plants and seeds found at the site could be roasted and some popped like popcorn. 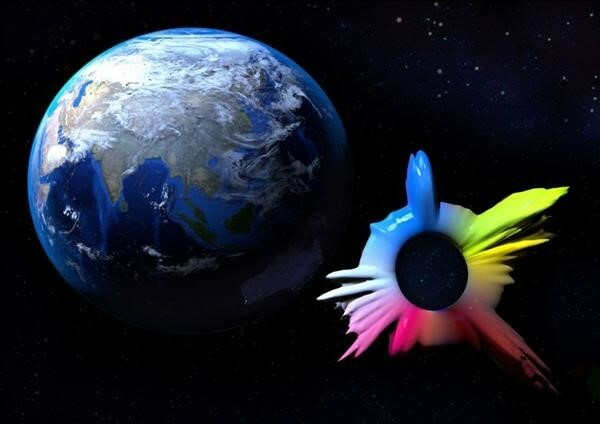 As for the Israel Ingenuity Award the past year, itgoes to an Israeli design and technology company called Knut Studios that’s turning ‘the best laugh on earth (chosen from among recordings submitted by the public) into a ‘laugh star’ (i.e. a human laugh, visualized as 3-D one-of-a-kind sculpture)…actualizing an idea dreamed up by Israeli digital conceptual artist Eyal Gever who when queried – “What would you do if you could create art in zero gravity?” – said laughter, something intrinsically human…universal and free-floating – is absent in soundless space. The winning laugh is to be created on a zero-gravity 3D printer on the International Space Station, then released in space…like some interstellar message in a bottle. This honor dovetailed the Craziest ‘What Was He Thinking’ Award (sometimes dubbed the Schlemiel Prize) which was awarded to a 48-year old Ramat Gan resident who told National Insurance authorities that he planned to kill himself because he wasn’t happy with the way they were handling his case, leading to police being sent to the suicidal fellow’s apartment where the cops found the flat owner safe and sound in the living room…and a pot-processing operation full of cannabis plants and processing gear in an adjoining room, giving the flat owner ample reason to want to shoot himself. Undeniably, the Wildest Only-in-Israel Life Story Award belongs to an East Jerusalemite namedMuhammad who in his late teens had throw rocks at Israeli Border Police, but now wants to join the Border Police stressing he “speaks fluent Arabic and knows all the alleyways of East Jerusalem.” Mohammad recently changed his name to ‘Israel’ – a role reversal sparked by the 21 year-old floor tile layer discovering by chance that he was registered in Israel’s Population Registry as a Jew because his late mother, who died when he was a preschooler, had been Jewish. Even the 1948 War of Independence – the bloodiest war in Israel’s history – was peppered by piquant Chelm-like-but-true episodes and bizarre situations that capsulated the flavor of life in the Jewish state. In February 1948, in the twilight hours of the British Mandate, the EZEL attempted to rob a major branch of Barclay's Bank in Tel Aviv parading as British soldiers. The members of the radical Jewish militia closed off a section of Allenby Street with a large number of jeeps and barbed wire. Cursing like true troopers, in ‘Hinglish’ – fooling nobody, 15 of the gang walked into the bank demanding the keys to the vault…but due to bad timing, no combination of keys opened the safe. It was 8 AM - well before banker's hours. See Daniella Ashkenazy, “There’s No News Like Old News,” Jerusalem Post, May 30, 2000. Archived HERE. Photo credit: Haredi Nachal vetsFacebook account. Prayer shawl. 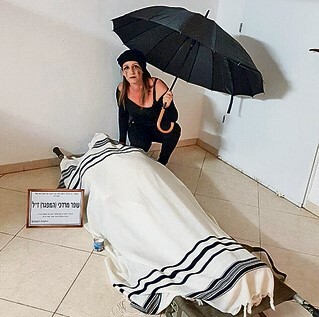 According to Jewish custom, the body of the deceased is wrapped in a shroud covered with a tallis – in most places in Israel, without a coffin – transported to the burial site on a wheeled stretcher. 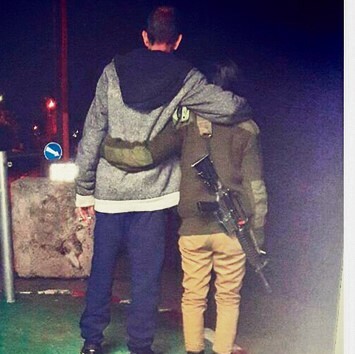 On cold nights the office on duty allowed Nissim to join his daughter in the checkpoint booth. Did other soldiers on the base deride her? No, the other girls were envious! Photo credit: photo published by the family.